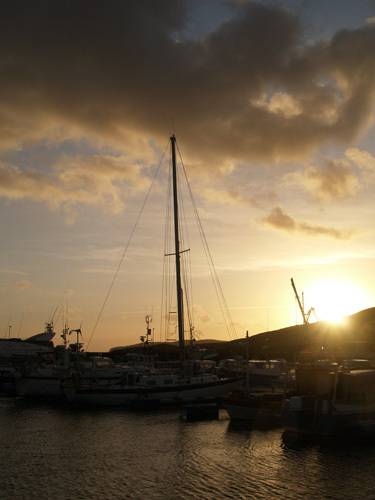 The wild west of Shetland is a large expanse of rolling moorland and fertile pasture calling out to be explored. Its many peaty lochs are home to trout, waterfowl and all kinds of aquatic plant. The extraordinary coastline has dramatic cliffs and long voes extending into heathery hills, with many a sheltered beach to escape to. Crofting culture runs deep in these parts and traces of ancient farmsteads and field systems are everywhere. Archaeologists have found evidence of agriculture going back 5,000 years when trees and crops were widespread here. Pre-historic remains include the finest example of a Neolithic structure in Shetland. Now the area is experiencing a renaissance with fishing, aquaculture and textiles helping to underpin this fast growing rural community where people balance the quiet life with a lively round of social occasions such as regattas, sheepdog trials and Shetland’s longest running agricultural show. There is unrivalled hill walking through glorious countryside and a network of single track roads leading to peaceful corners where the world can be left behind. Opportunities abound for freshwater and sea anglers, the voes are ideal for yachts and kayaks, and marinas at Aith, Skeld and Walls welcome visitors…all this in the best climate to be found in these isles.